Last week, Wilson joined Hemingway and Radcliffe as the third of my free WordPress themes to be available for users on WordPress.com. The WordPress.com version of Wilson sports the same look and feel as the version on WordPress.org, but with some neat new functionality like social links and infinite scroll. It’s a good choice if you have a classic, simple blog and want a similarly classic and simple theme to go with it. 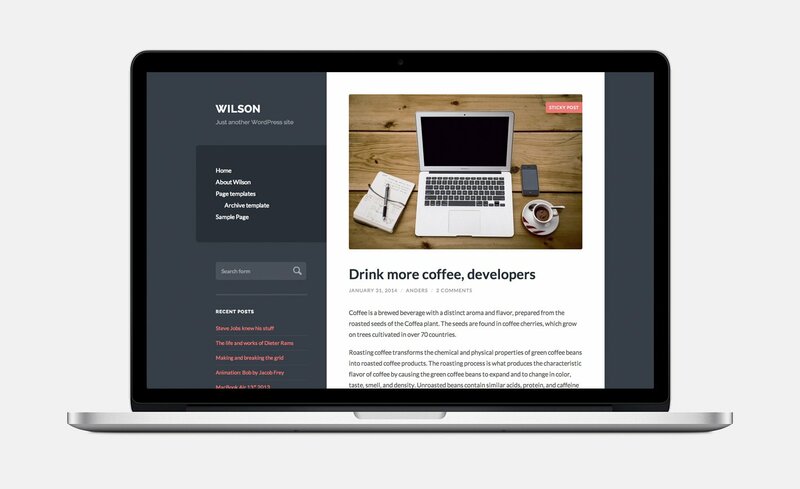 Note: The WordPress.com version of Wilson is developed and maintained by Automattic, the company behind WordPress.com. That means that I’m unable to provide support for it. You can direct your support requests to the Themes board on the WordPress.com support forums.